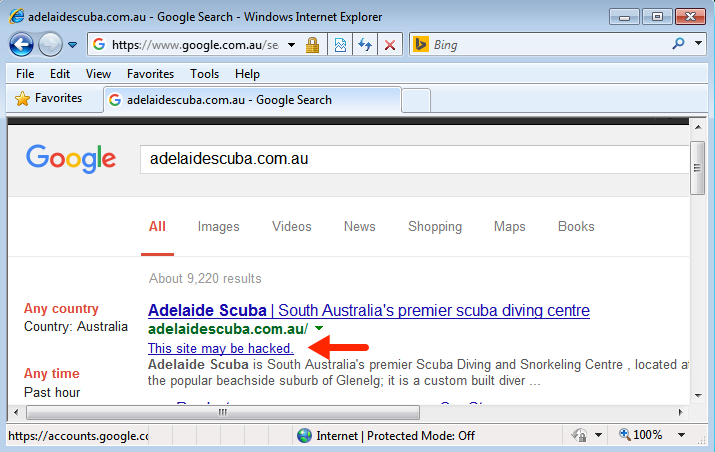 Shown above: Google search indicating the site is compromised. Shown above: Start of injected script in page from compromised website. Shown above: End of injected script in page from compromised website. Shown above: Pcap of the traffic filtered in Wireshark. 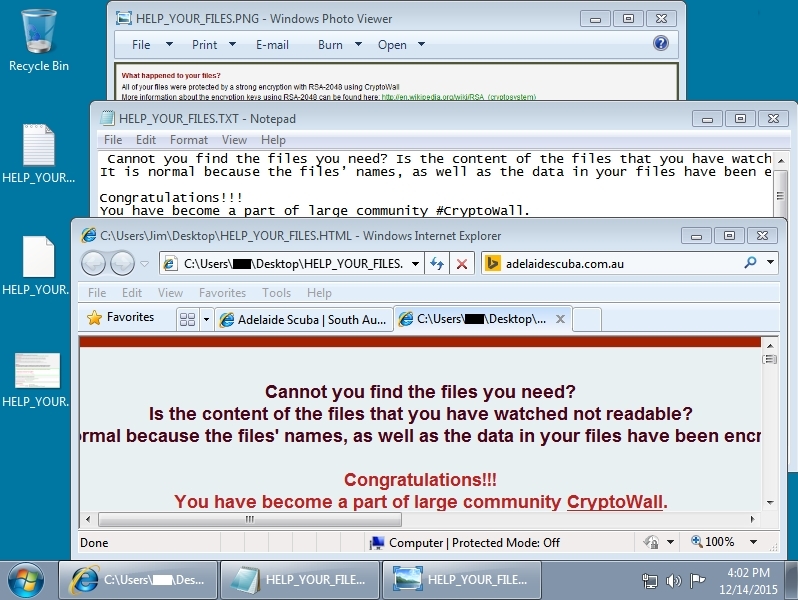 Shown above: The infected user's Windows desktop after the infection.